The route of the medieval walls, almost entirely preserved, was designed at the beginning of 1200 to protect the village from the threats of Pisa, and the building attended by the entire population. 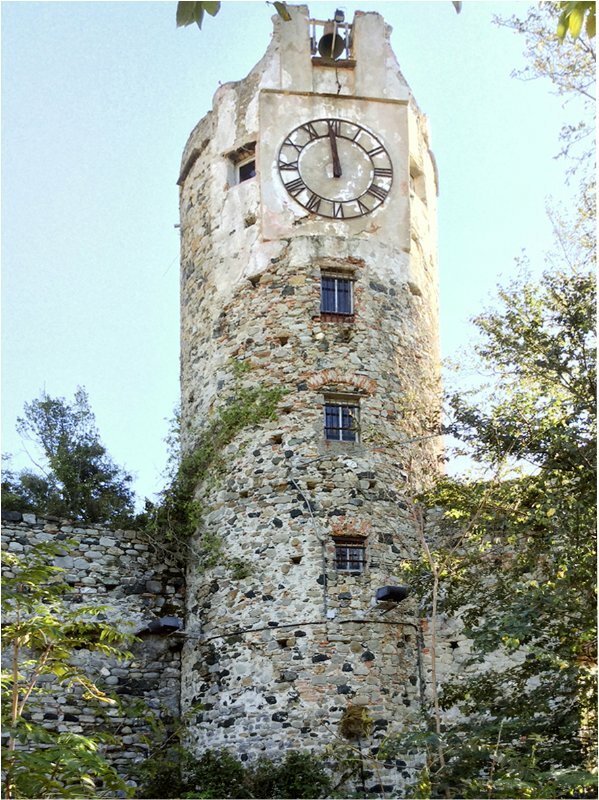 The track starts from the castle, go down until you get to the creek Cantarana, dates back to the hill of the Coast and at the highest point, before going down to street Guani, engages in called the Clock Tower, exceptional example of medieval architecture. The walls were in fact punctuated by six towers alternating with four-door access to the village: of these, the Clock Tower is the best preserved and maintained until at least the 1600s, thanks to its privileged location, its oversight role sighting and control to the sea and to the mountain. A task also confirmed by the presence of a path on top of the walls dating back to 1600 and the opening of a connection between the inside and the outside of the village, right next to the Tower. The building is still in good condition and is accessible from within the ‘entrance to the summit, where you will find the watch that characterizes it and a rooftop terrace overlooking the entire valley. The City Council has activated a route restoration project of the medieval walls which involves the construction of a connecting path between the gardens of St. James and the Clock Tower. 2 – redesign the base of the walls on the outside, making this space a new place of public distance, even in tourist function. The project thus allows to make available two places that have marked the history of Levanto and to integrate the various existing routes between the many architectural features located within the medieval walls and the vast hiking network of existing environmental nature on the outskirts of the city center .